Memorial Ride Registration Now Live! Registration is now available for the first annual Christina Clarke Genco Mother’s Day Memorial Ride on bikereg.com. 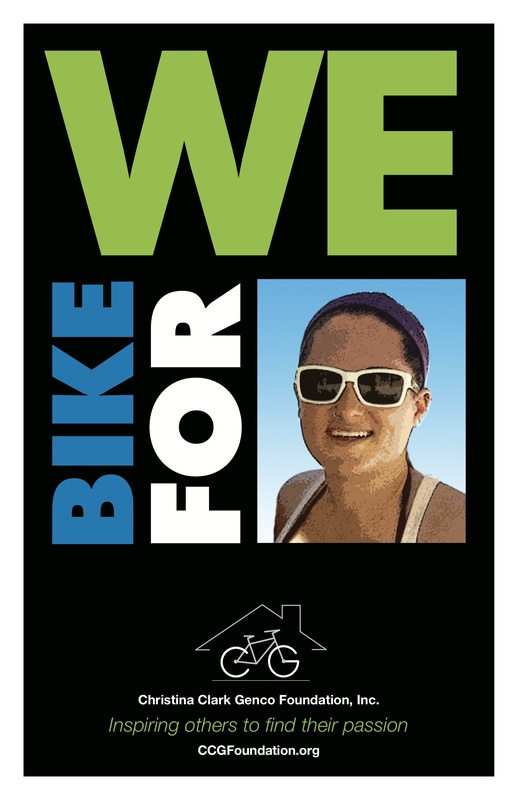 The ride will commemorate Christina Genco’s life and raise funds for the Foundation to support an affordable housing project in partnership with Bike & Build. The ride will take place on Sunday, May 13 in the greater Boston, MA area and will provide four safe routes of varying lengths for everyone from families with children to experienced cyclists. Check out the Memorial Ride page for additional details. This entry was posted in Blog and tagged bike and build, boston, cycling, memorial ride, mother's day. Bookmark the permalink.